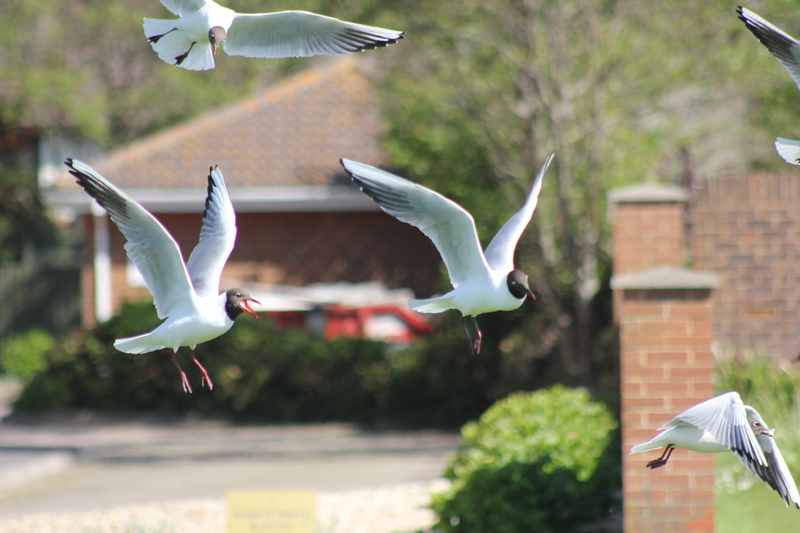 The gulls were out in Barton on Sea today, fighting for scraps of food. They wheeled and dive-bombed each other like fighter pilots until one lucky bird eventually got a morsel of bread firmly chomped in its beak. 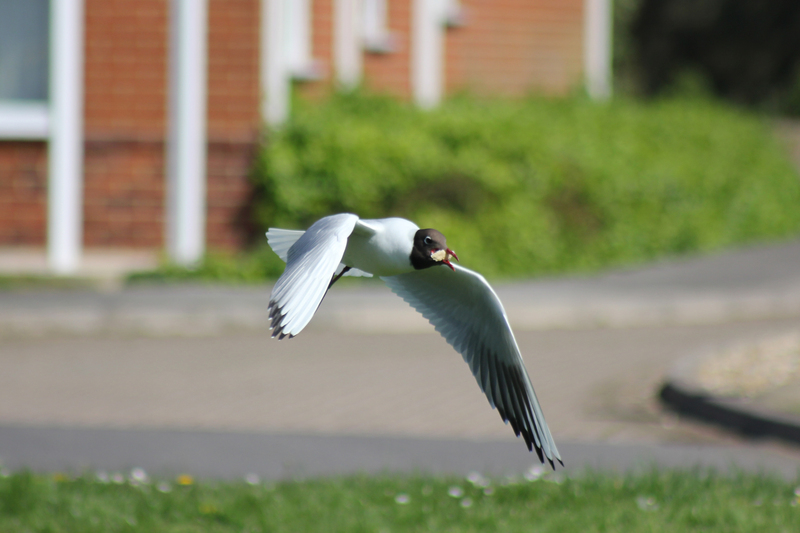 This gull would race off, hotly pursued by the others who were hoping to catch it before it had time to gulp the bread down and return for the next battle. Barton on Sea didn’t fare too well in the storms of February 2014. There were signs of damage everywhere. On the grassy cliffs posts had been stuck in the ground in areas which were particularly susceptible to collapse. We went down onto the beach to walk along at low level for a while. 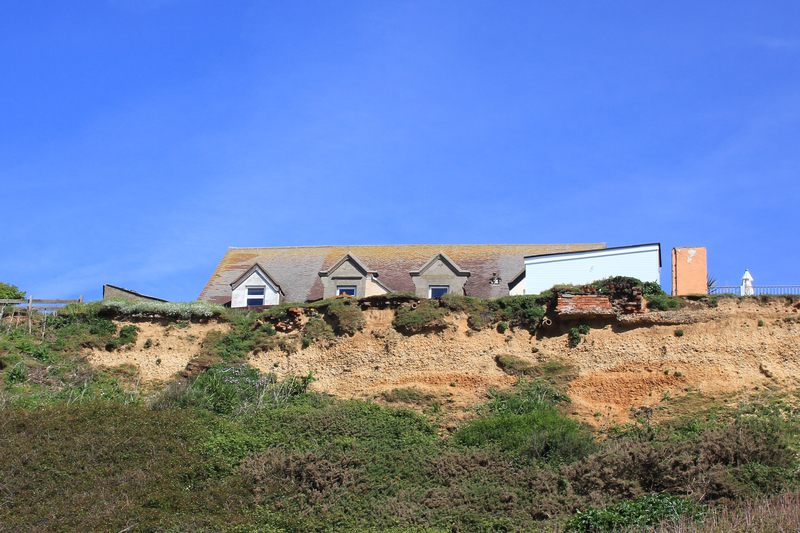 Some of the houses looked a little too close to the cliff for comfort. I assume the people who lived here have had to move out. At the end of this post are co-ordinates which can be copied and pasted into Google Earth. At the time of publication doing so will show you this house. I imagine if you do this a few years hence the co-ordinates will show you rubble, and then eventually open sea. When we got back up on the cliffs we walked through a car park. 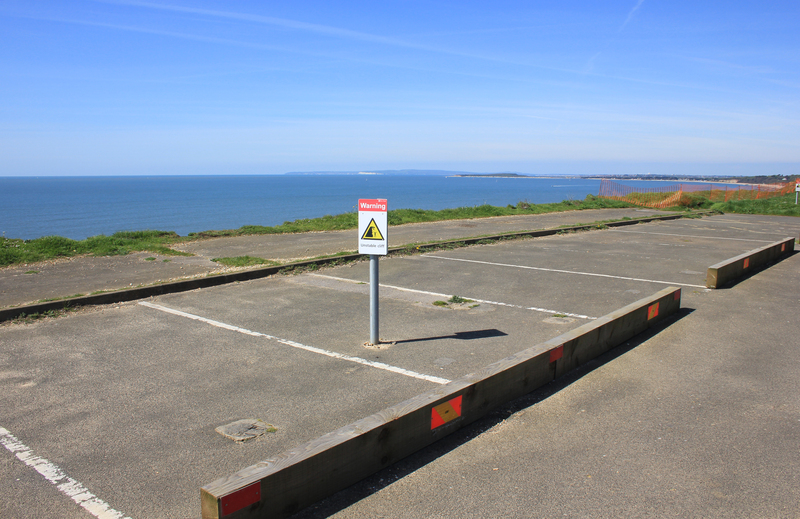 The row of spaces nearest the cliff edge were sectioned off. Poor old Barton on Sea! Barton isn’t on Sea – the sea’s on Barton! But the gulls didn’t care. They continued fighting over their bits of bread, oblivious to the fact that civilisation was crumbling all around them. 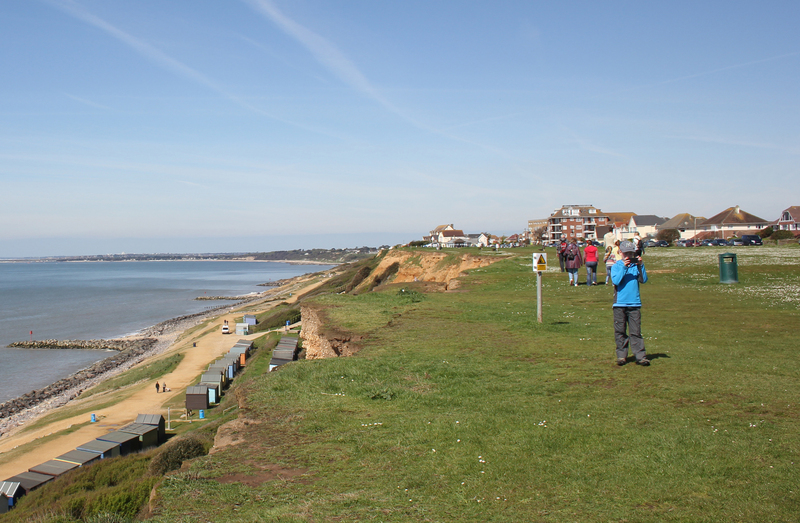 This entry was posted in Hampshire and tagged Barton on Sea, coast, coastal erosion, erosion, gulls, Hampshire, travel, walking. Bookmark the permalink. More beach huts too! Gotta love ’em!